When American-born Surrealist Man Ray died in 1976, he left behind thousands of photo negatives, mostly portraits taken in his studio after his arrival in Paris in 1921. The Center Georges Pompidou, which has owned them since the mid 1990s, has duly catalogued then collection of negatives and is now in a position to bring out what is an encyclopedic publication in the best sense of the term. It attests both to Man Ray's ability as a portrait photographer and to the quality of his archive as a monument to cultural history. The catalog features 517 portraits, each of which is explained in a short commentary. 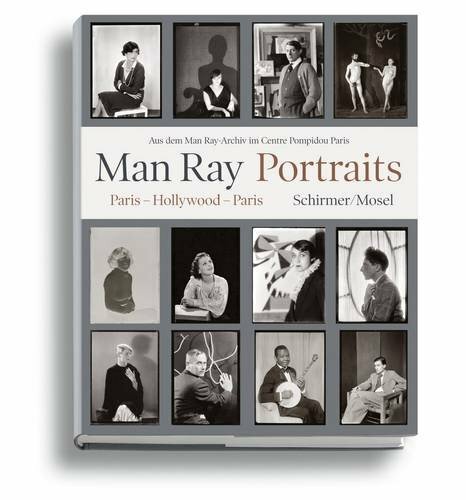 Since Man Ray's clientele was made up of members of Dadaist and Surrealist circles, of artists and painters, of writers and US emigrants of the 'Lost Generation,' of aristocrats, and paragons of the worlds of fashion and theater, the book is at the same time a marvelous Who's Who and an indispensable reference work for a broad range of different historians and scholars of the 20th century.